A Day-In-The-Life Video is arguably one of the most powerful ways to demonstrate the Plaintiff's physical / mental injury and present the actual depth of damages in his or her daily, personal life. Documentation of the daily struggles a Plaintiff experiences is a powerful tool to share with a jury responsible for deciding the size of a settlement, producing a larger verdict. Through the video, the jury is allowed access to a Plaintiff's living environment, which is crucial for most cases. Also, this video can help you settle a case since a Defendant can actually see what a Plaintiff goes through on a day-to-day basis and they will see in advance what a jury will see later, which could yield a larger settlement amount. It takes an entire day to tape a Day-In-The-Life video, but it can then be condensed to a few minutes, which helps you quickly present the facts in a case. Click HERE for information on contacting Fraley Cooper to make arrangements for a Day In The Life Video. What Is a Day-in-the-Life Video? The entire goal of a Day-In-The-Life video is to record and portray the plaintiff's activities of daily living, thereby presenting the extent of damage done to his or her personal life. The initial video-taping session consists of 1 entire day of filming the plaintiff as he or she goes about his or her daily activities. Then, the video is edited to a very effective 20 to 30 minute synopsis of that day. Effective uses of a Day-In-The-Life video are not limited to extreme or catastrophic injuries either. For example, your client (plaintiff) may have had a life-altering injury that led to blindness, deadness, or some other kind of impairment or brain damage. Often, the impact of these limitations are difficult to portray to a jury without a Day-In-The-Life video. Video is arguably the best form of documented evidence next to a real life presentation. When you need to express the depth of injury to your client, nothing compares to the evidence portrayed in a Day-In-The-Life video. Whether you are presenting mental injury or anguish, increased medical needs, income deprivation, pain, suffering and other serious but intangible evidence, a Day-In-The-Life video has far more impact than any other form of evidence or presentation. Where possible, a short lead-in video of the Plaintiff in "pre-injured" condition can contrast his or her present state very clearly. Effectively using a "lead-in" video of this nature can impart a significant impression as to the effect of the injuries and diminished quality of living on the Plaintiff. 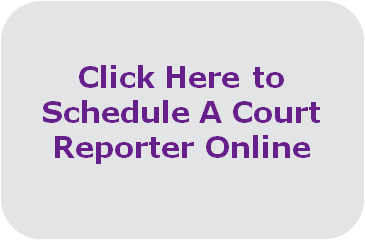 Contact Fraley Cooper Professional Court Reporters to schedule a Day-in-the-Life Video for your trial. See below for information to Fraley Cooper Professional Court Reporters to schedule a Day-in-the-Life Video for your trial!